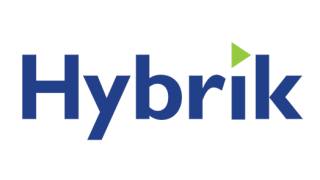 Hybrik has partnered with Dolby Laboratories to integrate support for Dolby Vision encoding into its cloud-based transcoding platform. This collaboration enables an accessible and cost-effective solution for accelerated delivery of Dolby Vision content, leveraging the elasticity of Amazon’s AWS cloud architecture. Dolby Vision high dynamic range (HDR) encoding enables greater brightness and contrast, as well as a fuller palette of rich colors. As the preferred HDR mastering workflow for major studios and a growing number of creatives, and as more of the ecosystem enables efficient implementation of the Dolby Vision content creation tools, consumers will have access to a growing list of HDR content. "Dolby Vision continues to build momentum as the premiere HDR delivery format," said Ron Geller, VP, worldwide content relations, Dolby Laboratories." Our collaboration with Hybrik delivers on Dolby’s commitment to make the Dolby Vision content encoding process more broadly accessible to service providers across the industry." Hybrik’s large-scale transcoding platform is in use by some of the largest media companies in the world. Its service is based on Amazon’s AWS cloud platform and provides transcoding, quality control, accelerated file transfer, large-scale storage, and streaming to deliver video optimized for every screen.